Join us for a fun and cultural tour to France with a difference! Take in a theme park of fantastic shows before exploring a little of the gorgeous Loire Valley. Having celebrated its 40th birthday in 2017, this is not your traditional theme park with roller coasters and rides. Based in the heart of the Vendee region surrounded by delightful French countryside, Puy de Fou began in 1978 as an amateur dramatics night in the newly discovered grounds of a ruined castle. Although not that well-known in Britain, is the second most-visited theme park behind Disneyland Paris and attracts of 2 million visitors a year. The thrills are spectacular historical shows with actors and animals in fantastic venues throughout the park showcasing different periods in history. Each flamboyant show is between 30-40 minutes long and are conducted in French but English headsets are provided. The Vikings: Tremble at the sight of terrifying Viking Warriors launching their attack of the peaceful Fort de l’An Mil from emerging longships surrounded by gigantic flames. The Phantom Birds Dance: A show of a mysterious story of a young girl called Aliénor who awakens in ruined château whose memories of wanting to fly awaken dozen of birds. The Secret of the Lance: Set against a backdrop of a Middle Age Castle and relating to a young sheperherdess who must defend her home against English Knights. Please see the below link to the Puy De Fou Website for full and visual details of the shows, many of which need to be seen in person to be believed! We are based at the newest hotel in the Parc, La Citadelle which is themed on the Middle Ages and giving us easy access. French law still allows wild animals to take part in theatre and circus performances however Puy de Fou’s Grand Parc has been a member of the European Association of Zoos and Aquaria (EAZA) since 1993. Since it opened, more than 400,000 euros have been donated to organisations working to protect the most endangered species. 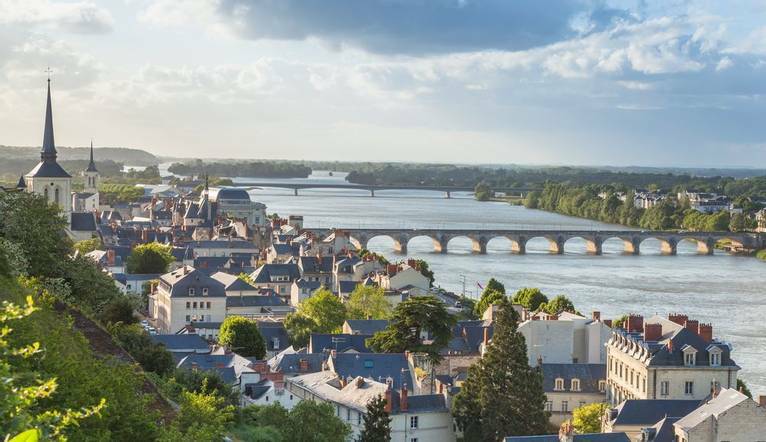 Boasting a hot and sunny summer climate, world renowned wines and magnificent châteaux, we explore one of the most beautiful regions of France; the Loire Valley. With its own graceful château overlooking the town we are based just outside historic Saumur which lies between the Loire and Thouet rivers. Surrounded by the vineyards of Chinon, Bourgueil, Coteaux du Layon which produce some of France’s finest wines, where better than to spend a day whilst wandering the gardens and exploring the French ancestry of 2 of this wonderful regions’ châteaux. We include a visit to the splendid Château de Villandry, the last of the great Renaissance Châteaux to be built on the banks of the Loire River. It was a medieval fortress when it was first acquired by Jean Le Breton who then enhanced it with Renaissance décor before the Marquis de Castellane moved in and transformed the building into a warm, bright and very comfortable home. Its gardens are famous with three levels including a kitchen garden, water garden and stunning ornamental flower garden. Lunch is included here at the Dolce Terrace. One of the first ornamental castles with wide windows, fireplaces and frescoes, this lesser known French chateau is beautifully restored and set in the heart of Touraine. In fairy tale style it has an imposing keep, protective drawbridge and fantastic gardens. Covering 6ha there are 14 beautiful themed gardens boasting beautiful displays that evolve throughout the seasons. Enjoy a wine-tasting of 3 beautiful Loire Valley Wines. We stay in comfortable hotels throughout. Situated within walking distance of the entrance to the park, we can step into the middle ages at this themed hotel. Facilities here include a restaurant and a bar. Rooms are air-conditioned and offer TV, hairdryer and free WiFi. Located right in the heart of the historic town of Saumur, this charming hotel offers a breakfast room and is within walking distance of many local restaurants for dinner. The individually designed bedrooms all come with flat screen TV, telephone, tea/coffee-making facilities and complimentary Wi-Fi. Tremble at the sight of terrifying Viking Warriors launching their attack of the peaceful Fort de l’An Mil from emerging longships surrounded by gigantic flames. A show of a mysterious story of a young girl called Aliénor who awakens in ruined château whose memories of wanting to fly awaken dozen of birds. Set against a backdrop of a Middle Age Castle and relating to a young sheperherdess who must defend her home against English Knights. We are based at the newest hotel in the Parc, La Citadelle which is themed on the Middle Ages and giving us easy access. This charming hotel offers a breakfast room and is within walking distance of many local restaurants for dinner. A reasonable level of fitness/mobility is required as we include plenty of sightseeing/travelling, sometimes with early starts. Please refer to Medical Conditions in Important Information.